In the past, people used to carry their money in their bags in order to make any purchase. Today people carry their visa cards, credit cards and other cards that allow them to make any purchases. They are however being overthrown by wearable devices which were primarily designed for ensuring physical fitness and smart notifications. The devices have now been fitted with the payment feature. You don’t have to carry cash, credit or visa cards anymore; you only need to wear a device and make payments that require zero contact. This wearable device is a fitness and health gadget. 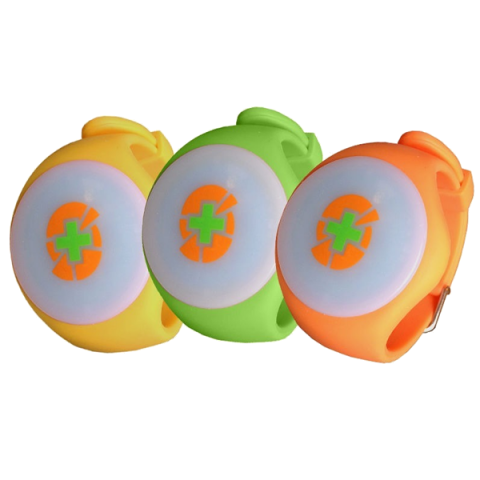 It can be used to track your steps and monitor your heart rate 24 hours a day. It has now been modified to include payment transactions. You are only required to swipe the device on your wrist to make payments for services rendered or goods purchased. This device is mostly being used by people living in the US who have access to it. The device in collaboration with the American Express Payment is used to make purchases and conduct payment transactions. Is your home in the UK or in the US? 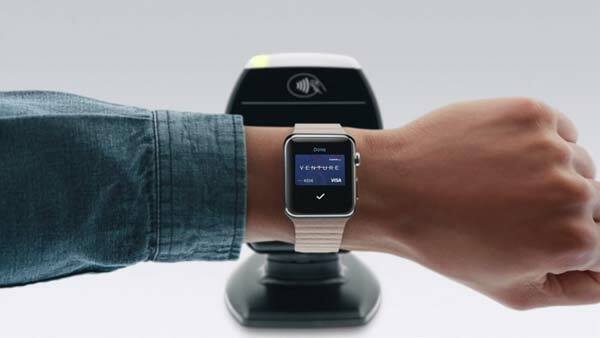 Well, thanks to Apple; you are now able to make payments using the Apple Watch. The payment is enabled using the Apple Pay service. The watch doubles as a payment device, a luxury piece of jewellery and a smart time piece. The gadget is connected to the iPhone (sync) and obtains information already fed pertaining to your credit cards using the iPhone. The information is then verified using the iPhone and you are able to shop using the Apple Watch. You are then required to swipe or to flick your wrist to make payments. Samsung has developed the best smart watch to be used by its pay service the ‘Samsung Pay’. The Samsung Gear S2 is the smart watch to be used to carry out payment transactions. This wearable device has an integrated chip (NFC chips) that enables it to make payments. It is also compatible with the most recent and new android phones and the iOS support for the Samsung Gear S2 are added advantages. This is an interesting wearable device that requires you to decide either to use it as a health and fitness device or a payment device. It is however limited to coffee purchases in the US and only in the Starbucks Chain of Hotels. To use as a health and fitness device, you are required to add a tile i.e. Starbucks tile to the device via the Microsoft health App. To convert it to a payment device, you are required to follow the following procedure. Select Starbucks Tile. A barcode pops up once the selection is done. Hold the barcode in front of the scanner. The scanner reads the barcode and your coffee is paid for. Is wearing a wrist watch or any other device on your wrist tiring and irritating? If yes, here is a solution for you. You can make payments without using a watch and use another wearable gadget or device. A jacket is a wearable device that has now been equipped with a device to enable you make payments. 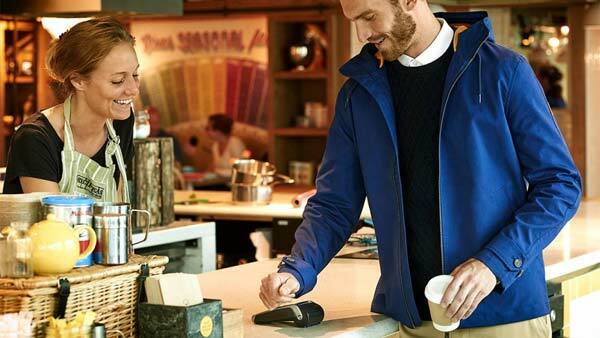 Lyle & Scott in association with Barclays bank have introduced a jacket in which an NFC payment chip is lodged in the cuff of the jacket sleeve. This is a good idea but there are a few security issues that require to be considered; wearing a jacket at all times in order for you to make payments may be quite weird especially on a sunny day. Wearing a jacket for purchase transactions is not a real deal for everyone. 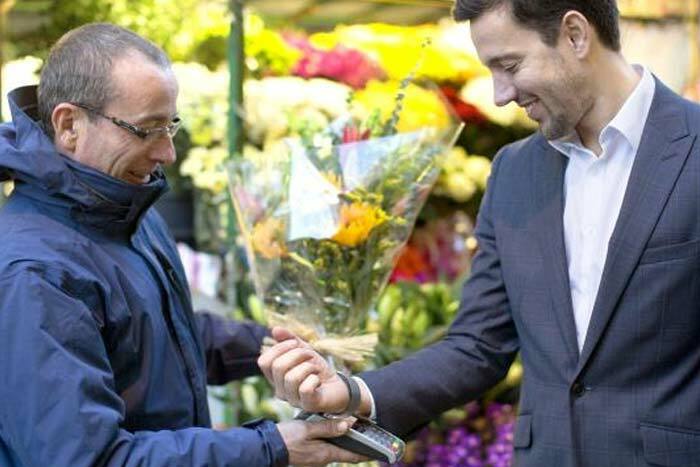 However that does not mean that you cannot take advantage of the Barclay’s bPay service and technology. This device provides all the purchase requirements you may need. It however lacks the operations of a smart watch. This is because the device is designed to only handle payments and other money transactions. Wearable devices can only adapt the payment function if they are compatible with the payment services offered. It is however important to know the area in which you are in; not many places have adopted this technology and you may find it difficult to access payment services.